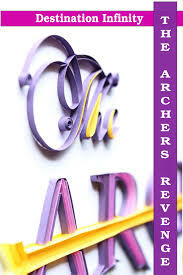 ‘The Archers Revenge’ is his self-published book. But this is unlike most self-published books you will find. For starters it has a story and good one. A believable one. Fiction, unlike reality, has to be believable. Don’t believe me. Try writing a book. It is copy-edited well. The language is very lucid and the flow very coherent. It keeps the reader engaged. It is a story of two youngsters(Aryan & Divya) who are on a mission to avenge their respective fathers death by a politician ‘Guru’. I found the unconventional plot interesting and also his idea of naming the chapters starting from negative numbers after prologue till the start of the actual story. The plot gets interesting with every page. After all who would have thought of using bows and arrows to fight in this era of modern weapons. And that too fighting a rival who is very powerful owing to his position as a Union Minister. Read the book for a more interesting twist to the story. A very good attempt and doesn’t sound like a first book at all. I will look forward to all the future books by destination infinity. Don’t you think this rating is a bit too high? I have myself read so many books that are much better 🙂 Thanks, but you should include some negative points also in the review. It’s mandatory. I wouldn’t say negative point but one thing you can do in the next book is play around with the language a bit more. Wish you success for your dreams. May they come true. 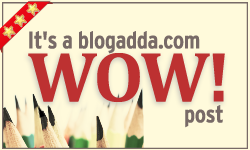 and thanks for the review sapna..